Bread and Soul Bakery Broughshane is based in a unit at the recently refurbished Raceview Mill. 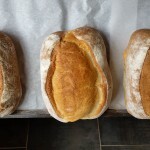 They say if you’re ever intending to sell your house a good tip is either to brew fresh coffee or bake fresh bread before a viewing……at Bread and Soul Bakery Broughshane you can have both! As you walk through the door you’re hit with that gorgeous smell of home baking! 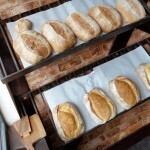 All the many types of bread available are cooked in their wood fired Italian oven. While you’re choosing which breads to buy you can have a freshly brewed cup of Ristretto coffee as well. 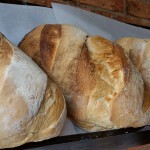 Bread and Soul Bakery Broughshane – fresh handmade bread & pizzas – also great coffee to go. 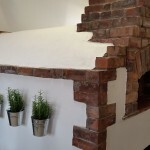 Bread and Soul Bakery Broughshane is open Tuesday to Saturday ~ from 10am – 5pm on Tuesdays and until 9pm on Wed, Thurs, Fri & Sat evenings when you can call with them for their amazing handmade Neopolitan style pizzas, again baked in the wood fired oven. Pizzas how they should be! Keep up-to-date with what they’re doing by liking their Facebook page here. 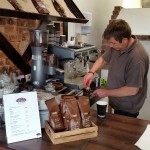 We’re delighted to see another small business doing well in the Ballymena area. 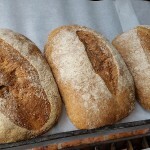 Bread and Soul Bakery Broughshane are bringing you, the customer, a great selection of hand baked bread, scones & pizzas all baked with organic flour and literally couldn’t be fresher when you buy them. With the addition of really good coffee to take away, this is definitely somewhere we’ll be popping into anytime we’re in Broughshane!